Many have been asking if it’s real or photoshopped. It’s real. 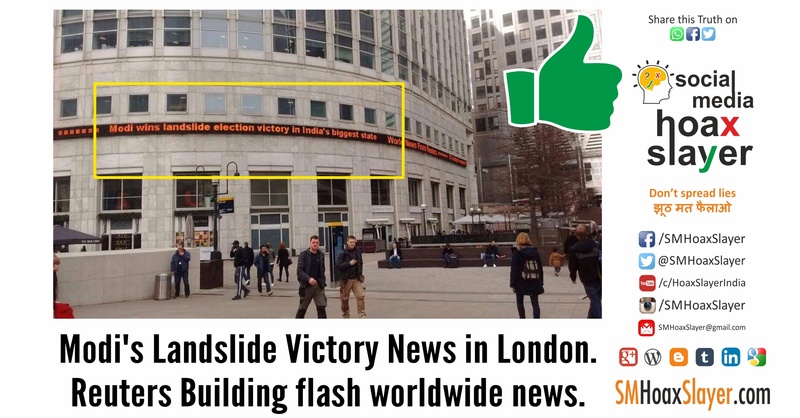 Modi’s Landslide Victory News in London. It’s Reuters Building. They always flash worldwide headlines. Here they flashed the landslide victory of BJP under name Modi Ji in Uttar Pradesh.